Little Miss Muffet is no longer sitting on her tuffet - she's done with the state of things! Good thing her spider stands with her! 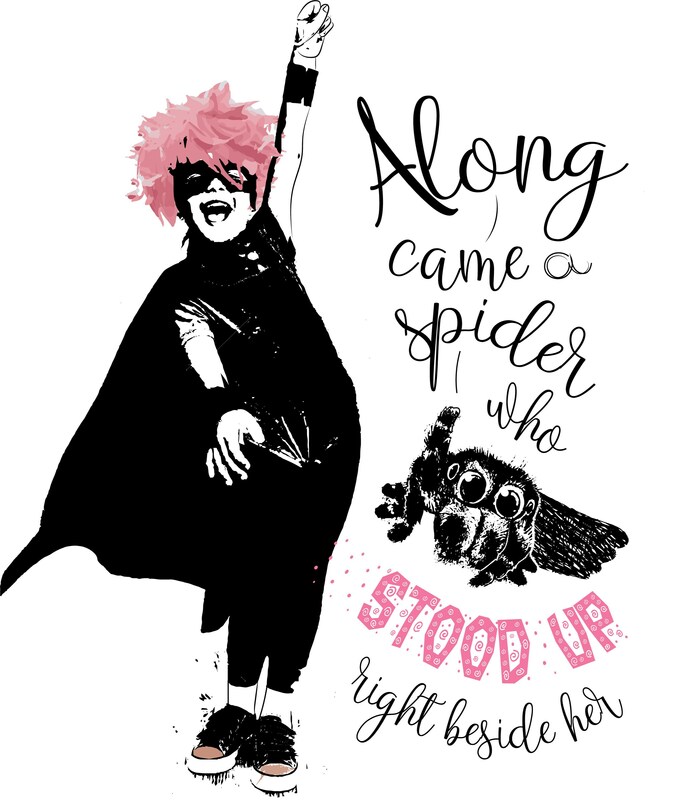 This t-shirt is great for school or any opportunity when a kiddo doesn't want to wear a costume!